Founded in the fall of 1968 by Melanie Russell (Lee) and Rosalind Thompkins (Lynch), the Howard Gospel Choir (HGC) is the first collegiate choir of its kind in the world. As a result, HGC has pioneered an international legacy in gospel music ministry. 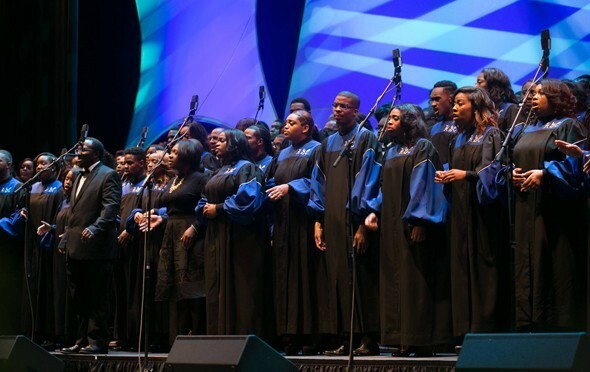 With an active roster of seventy-plus persons that consists of students and alumni from Howard University, as well as others from the surrounding community, the choir is one of the largest religious life organizations on campus, operating under the historic Andrew Rankin Memorial Chapel. The Dean of the Chapel, the Reverend Dr. Bernard Richardson serves as the choir’s advisor.